The Audi “RS4” is compact, manoeuvrable, with superb handling and features high acceleration and deceleration. Powered by 4.2L V8 Engine outputting 420BHP, ideally suited for Circuit or Higher Speed Camera Tracking work. 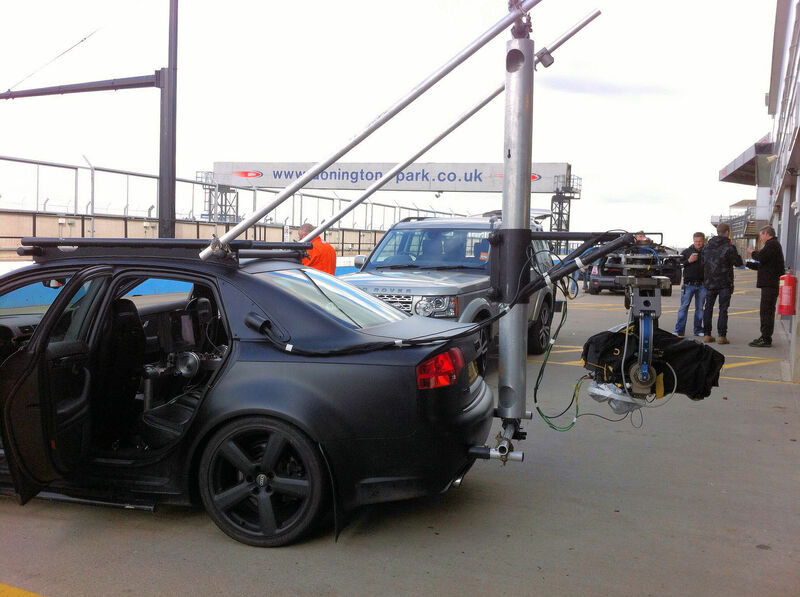 It is fitted with Scaffold Rigging Points, Front, Rear, Sides and Roof for quick and easy camera rigging. 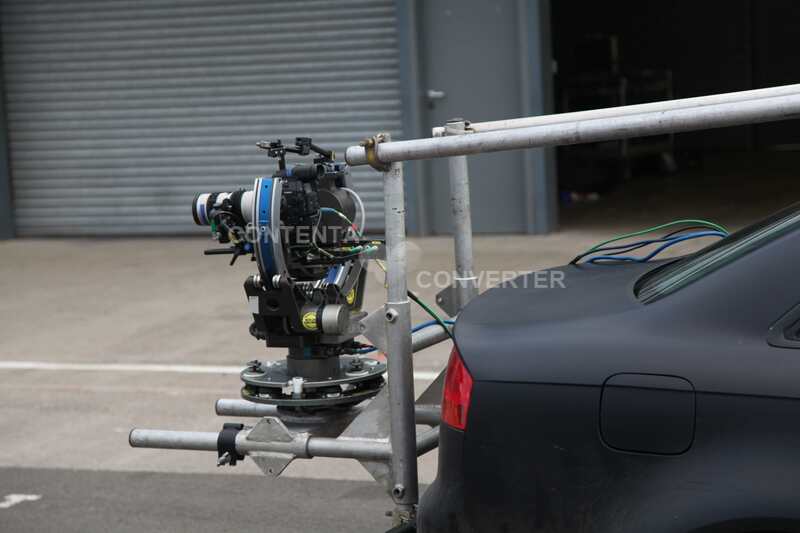 Cameras and Remote heads can be mounted anywhere on the RS4 with ease. 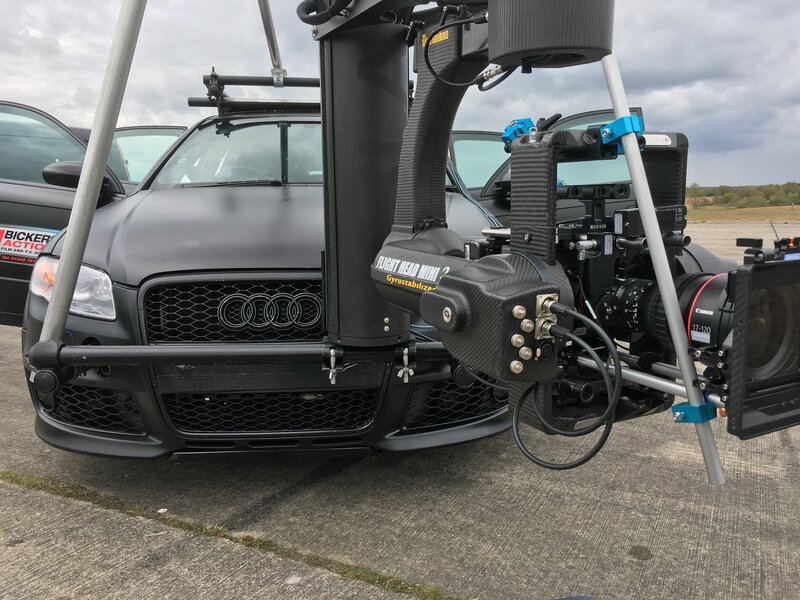 All crew is carried within the car (Driver plus 3 Crew Max), the interior of the car is fitted with various rigging points to accommodate remote head controls and monitors. We can supply a “Post” Rig (as Photo below left) to take remote heads, this can be supplied in various heights and is adjustable for fixed positions. 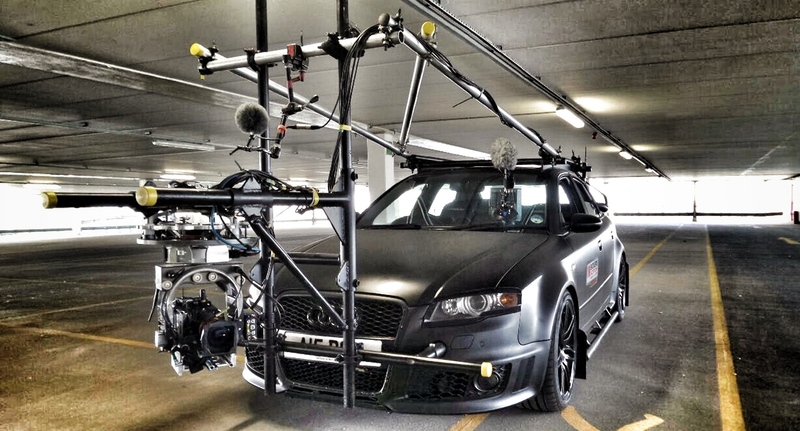 Driven by one of our Precision High Speed Tracking Vehicle Drivers.